You won’t regret it. Trust me. Whether you’re hitting Orange County for a long weekend, a business trip or just passing through, Laguna Beach will not be ignored. Bordered on the south by Dana Point, and Newport to the north, pedestrian-friendly Laguna provides the perfect playground for sun worshippers, shoppers, touristas, art fanatics and foodies. Oh, and let’s not forget those wacky uber-bleached, nipped and tucked housewives of Bravo TV fame who live in the area. It’s not that I meant to think about those mostly unmarried housewives on this leisurely day trip to Laguna Beach, but when I’m having lunch and quietly sipping on a perfectly muddled Old-Fashioned, and I start noticing a camera crew of a half-dozen or so trickling down the stairs, well, I’m going to start asking questions. Snoop and blab, remember. Because you need to know. What? 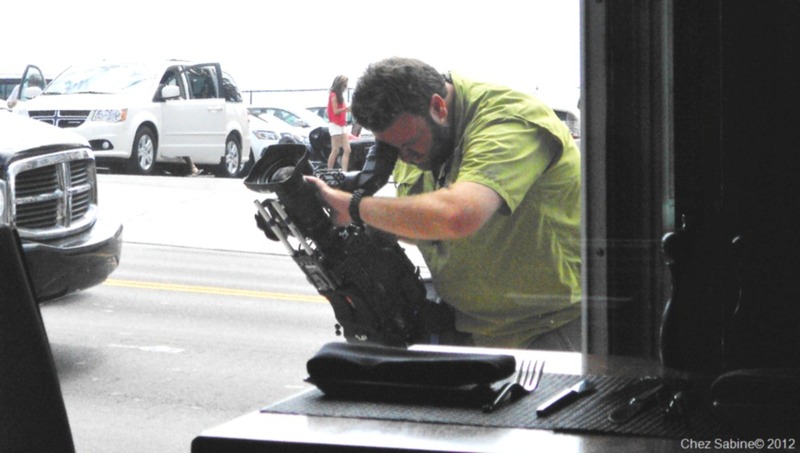 This fellow and his big boy camera won’t grab your attention away from lunch? But, wait, this lunch with the camera guy and crew takes place in the center of town, and you haven’t even glanced at the gorgeous water across the street yet. Let me take you on our day trip to Laguna Beach in some sort of order. And it’s not yet time for lunch. We’ll get to that soon enough. You’re in Southern California, you need a little water action, pronto. This tranquil view is from the northern end of town at Heisler Park, where paved walkways hug the Pacific on one side while the other gives way to lush and exotic landscaping, and steps leading up to cozy nooks for private picnics, reading to the sound of the surf or simply napping under a sky as blue as the water. Amazing photos. Cannot wait to return in Aug. Excellent writing! Thanks for the intro to Cottage Furnishings. Can’t wait to show you Laguna Nursery. You’e going to fall in love. Bill, it’s such a beautiful place that I’m not sure Laguna takes a bad photo. Very pleased you liked it. Thank you. 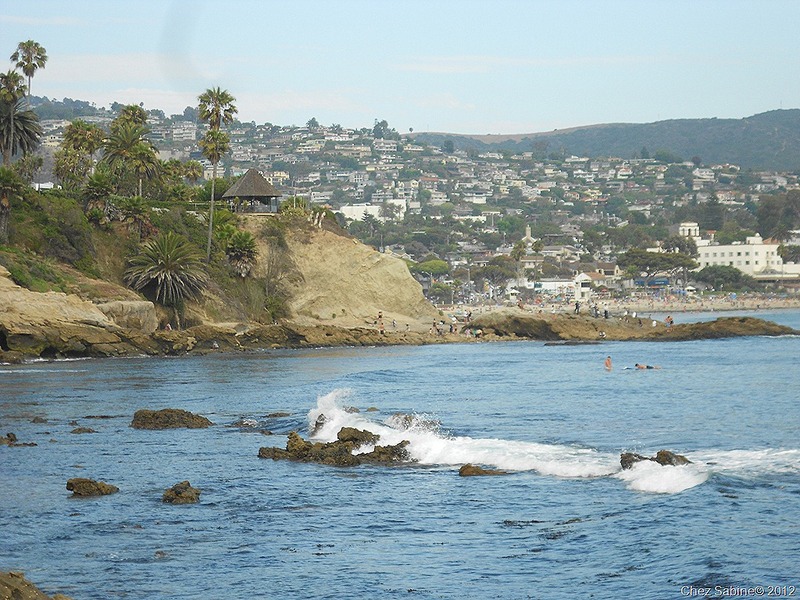 Sabine, I never thought about Laguna Beach before, but after reading your blog, I want to go!! Very well done. Thank you, Marylin. I think you’d find it your cup of tea. Your style would fit in perfectly. Hurry, make plans. Then let’s meet for drinks on the Rooftop.